We bring you another part of our admission series, called "Confessions of a 1099 Mom." We hope to share the not-so-glamorous side of working from home, as well as some of the secrets 1099 Moms have. The theme for this confession is letting your hygiene slide. "Things can get so hectic when I have to work from home and care for the kids. Especially during crazy times -- like when all the kids are sick -- I can barely find the time to eat, let alone shower. It's not that I'm a gross person, or that it's not a priority; it's just not as high a priority as sleeping or making sure my baby gets his diaper changed. Luckily, this is usually just a 1-2 day occurrence during only the most stressful times of my life. 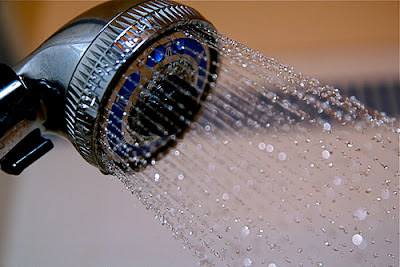 Before I was a work-at-home mom, however, going even one day without a shower would NEVER happen!" *Photo by stevendepolo via Flickr.